Home › Advice › When are you not permitted to drive? If you are on private land you can drive virtually any vehicle at any time as long as you have the permission of the landowner, you are not causing a nuisance and your vehicle does not contravene any local laws. However, on public roads and public land there are some specific times and places where you may not be allowed to drive. Roadworthiness: if your vehicle would not pass its MoT then it is not roadworthy, whether it has an MoT or not. Licence disqualification: if you get more than 12 penalty points (endorsements) within 3 years or you are convicted of a driving offence then you might be disqualified which means you must not drive. If you are disqualified more than 56 days then you will need to apply for a new licence before driving again. You don’t have a licence: it’s not legal to drive without a valid driver licence, even in an emergency. Northern Ireland and the Isle of Man: if you’ve been disqualified in Great Britain you also cannot drive in Northern Ireland or the Isle of Man. Licence codes: there are different codes on the back of your driving licence, some of which prevent you from driving certain types of vehicles (for example, only automatic vehicles) or meaning that you must meet other conditions (for example, wearing corrective lenses). Government regulations: while this doesn’t apply in the UK, some countries have (or have had) laws to reduce traffic which involve restricting certain vehicles from driving on certain days. Incorrect licence: if you don’t have the right licence for the vehicle you want to drive, you can’t drive. For example, you can’t drive an HGV with just a motorbike licence. You’ve taken medication: certain types of medication affect your ability to control the vehicle, therefore you are not permitted to drive after taking it. Court or police orders: if the police or a court has told you not to drive, whether they have taken your licence or not, you must not drive. Inappropriate vehicle type: any vehicle that you drive on the road must be legally permitted to drive on that road. For example, a mining truck cannot be driven on the road because it exceeds weight and dimension limits. Mopeds and tractors cannot be driven on motorways. Police cordon: if an area has been designated a crime scene or it is cordoned off for the public’s safety, you must not drive beyond that cordon without permission. State of emergency: if a curfew (time restriction) is declared, you must not drive during the curfew. 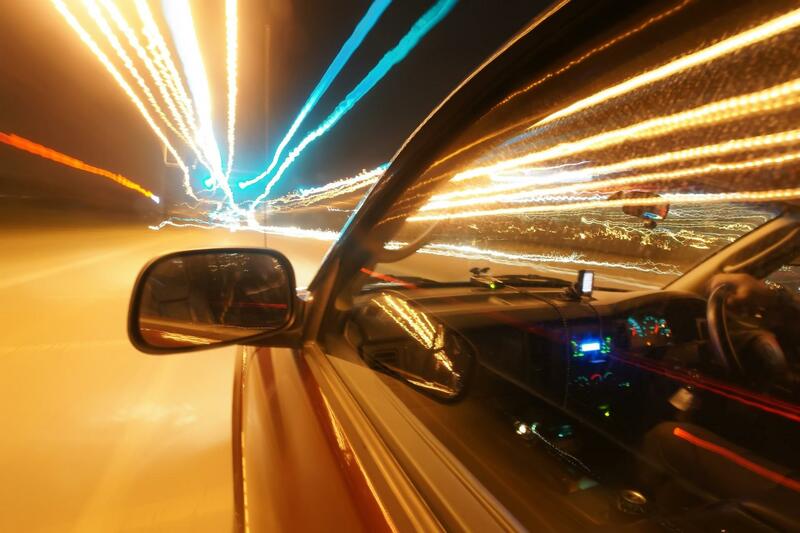 ‹ Can you drive at night as a learner driver?